This limited edition Don Papa rare cask is a rum "small batch" with rich aromas and a dominant of cocoa. 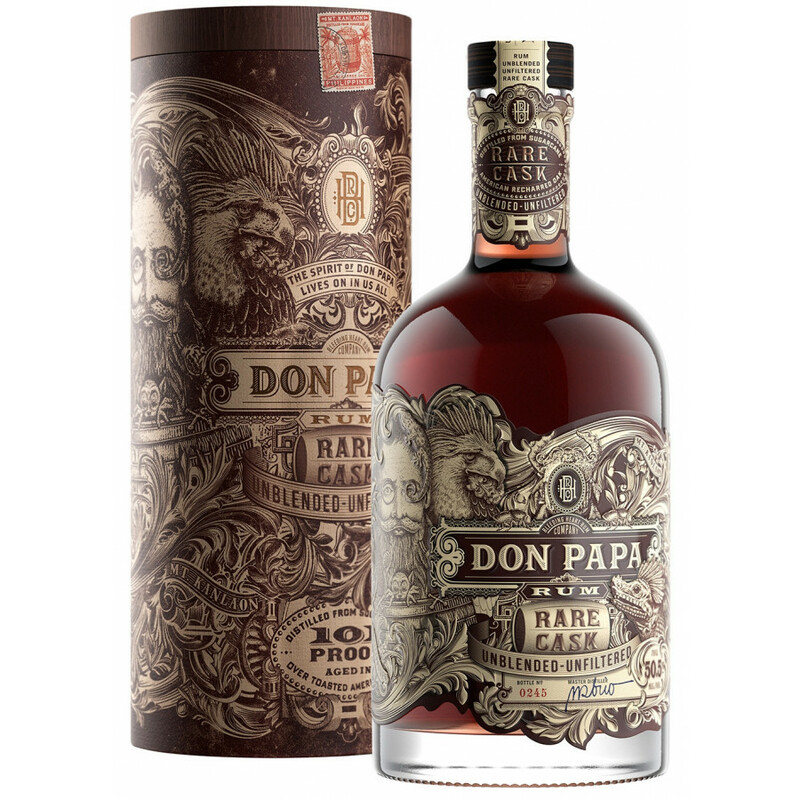 This limited edition of the famous Don Papa is a rare rum "small batch", from oak barrels specially selected and overburned. The rum Don Papa has benefited from this maturation to enrich with fine and rich aromas with a dominant cocoa. Don Papa has not received any filtration or assembly to preserve its whole character. Each bottle is numbered and presented in a beautiful wooden box. Don Papa rums are made from the best sugar cane on the island of Negros in the Philippines. The Philippines is one of the ten largest sugar cane producing countries in the world. Palate: fruit cake, cocoa, oak. Finish: long, fresh and wild mint.